January 23rd was the #18’s first trip to Cascade Canyon, a 50 mile round trip. The locomotive performed great. Dave Mull took a few short clips showing the locomotive pulling onto the turntable, the train working upgrade and pulling through the yard in the evening. 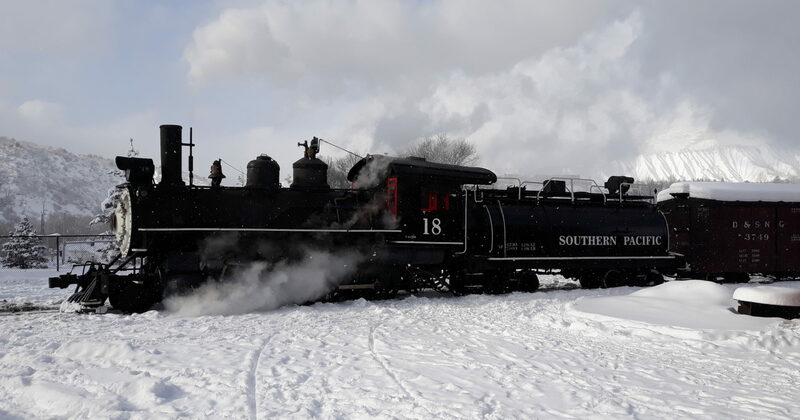 Keep an eye out to see the #18 out and about more often in the coming weeks hauling work trains and training crews! And be sure to get your tickets at the Durango and Silverton website for the upcoming trips. Charlie tops off the tender at Hermosa. #18 eases through Durango in the late afternoon.